to establish a register of eligibles from which certification and appointment to the second and first level positions in the civil service shall be made, provided said eligibles meet the qualifications and other requirements of the positions. Acceptance of applications shall be on a FIRST-COME, FIRST-SERVED basis. 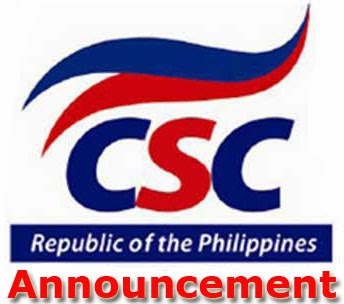 Applications may no longer be accepted before the deadline if the target number of applicants has already been reached by the CSC Regional/Field Offices. For the scope of examinations, you can click here. For the application requirements, you can click here.